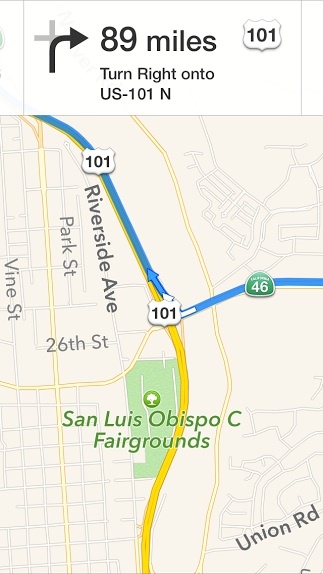 Having voice turn-by-turn directions right in your pocket with an iPhone is easily one of the most helpful features of the Maps app for iOS. The navigational assistant will get you just about anywhere you need to go without ever having to look at the phone screen, all you need to do is listen to the directions. That’s where this tip comes into play, because some users have trouble hearing the voice volume on the turn-by-turn mapping function, or they may find it too loud in some situations. Not to worry, you can quickly choose the default volume level for the turn-by-turn voice directions by adjusting a Settings toggle, so you won’t have to think about where the broader side-button volume controls are set to in order to hear directions. The “Loud Volume” setting is recommended because it’s by far the easiest to hear, as it basically plays the voice volume at the maximum volume output of the iPhone. This is particularly helpful if you tend to keep the iPhone in a cars cup holder around the center console and want the voice to be easily audible. The volume controls do apply to walking directions too, though the louder settings will obviously be broadcasting the navigation to everyone around you. 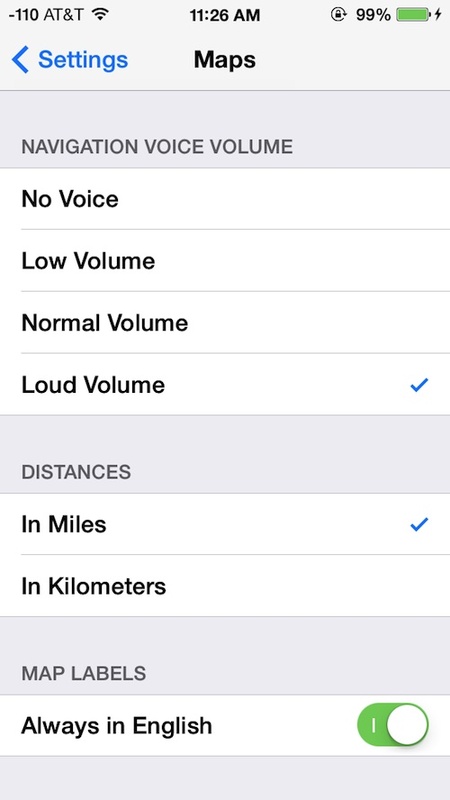 Note that if you use a Bluetooth connection or AUX port to connect the iPhone to the car stereo, these volume voice controls are mostly irrelevant since the turn-by-turn voice will be played over the general car speakers. In that case, just turn the volume up to the appropriate level on the speakers and you should be good to go. How the heck do I get the voice nav over Blutooth???? I’d LOVE to be able yo do that. I have my phone paired with my Toyota Prius, but it only works for phone calls! I really wished that there were an Audiobook mode, which would pause the book when voice announcements like Navigon. I don’t have a solution for the first two posts. But, to confirm that Bluetooth works as it should, I will confirm that my iPhone 5 and iPad Air play music and the voice of the TomTom U.S.A gps app through my (Toyota) Scion xB’s stereo. The input of the stereo does need to have the input on Bluetooth, and not FM, AM, or USB. I have an iPhone 4 can get volume for my map any suggestion? I been to map setting there’s no place to adjust volume. If there are 3 ways to get to a destination and I want to take one that is not the main route, how do I get Siri to change to that from the beginning the of trip? How do I get voice for NAV over bluetooth??? My phone is paired for my new Honda CRV EX (2016). HELP???? Shows the mapping on my iPhone 5s but no voice. I have an I phone 6 what I would like to do is stream music from the phone to the aux socket but have the SAT NAV instructions from the phone so it dose not speak over the music, how can I do this?